Take a look at all the vegetarian and vegan myths that we'll review in this article. You probably thought that more than one of them was true due to the many times that you've heard them. If you follow a diet without meat or products from animal origin, you’re surely tired of all the false beliefs that surround this way of life? In this article, we’ll take a look at the most talked about vegetarian and vegan myths. You’ve probably been asked more than once why you don’t eat foods of animal origin? People might also tell you that you’ll end up with health problems. It’s possible that you’ve also heard people say that you have to take a large number of supplements to stay healthy. In the following article, we seek to provide quality information and end these myths. After all, all they do is create confusion about this kind of nutrition. It’s common to question the athletic performance of vegan athletes. Lots of people believe that no matter how much they train or take care of their diet, they will never be able to reach the same goals as people who consume animal foods. This is totally false. Not consuming foods of animal origin has no impact on a person’s sports performance. 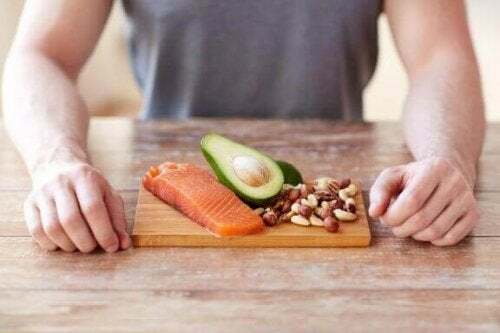 Protein intake can come from foods such as legumes, nuts, or rice. If you still doubt this information, we’ll give you several examples that will make you stop believing this widespread myth. Carl Lewis, Venus Williams, Lewis Hamilton, and Novak Djokovic are just some of the athletes who have been able to reach the top while being vegans. The reason why this myth is so widespread is incomprehensible given the lack of scientific basis or reasonable arguments that support it. The truth is that you’ve probably heard this statement on more than one occasion. Most likely, it’s due to the belief that vegetarians or vegans suffer from a lack of nutrients. In reality, anemia shouldn’t have to be related to vegan or vegetarian diets. In fact, the majority of foods that contain iron are of vegetable origin. Some of them are legumes, leafy vegetables, and nuts. All of these foods can be consumed by vegetarians and vegans, so they have no reason to have a deficit of this nutrient. There are as many people who believe that vegetarians and vegans lack nutrients as there are those who think they are healthier. You just have to see the proliferation of these kinds of diets when attempting to lose weight or follow a healthier lifestyle. It’s shocking how a food plan that’s full of ethics and principles ends up being, for many people, a way to simply lose weight. Don’t associate veganism or vegetarianism with a healthy life, it’s just another myth. There are many unhealthy foods that are included in these types of diets. Alcohol or tobacco are just a couple of examples. You also shouldn’t believe that by eating a steak, you’re not following a healthy diet. These diets restrict all types of foods that come from animals. 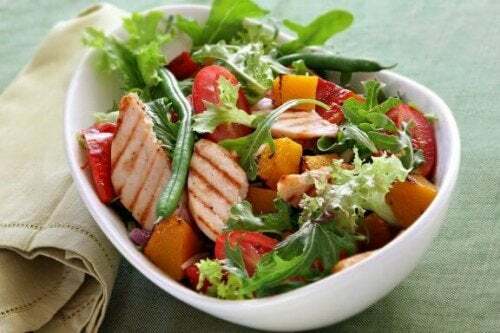 This means that meat and fish, which are the main sources of protein for many people, are left out of the meal plan. When we think of protein, the first thing that comes to mind is a steak. In reality, we can find protein in many foods, such as legumes, nuts, and rice. This explains why vegans and vegetarians shouldn’t have to suffer from protein deficit. 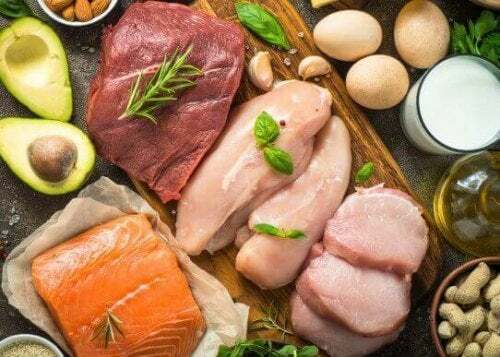 They simply find protein in other foods besides meat or fish. Another characteristic of vegan diets is the absence of dairy products. Vegans don’t drink milk or its derivatives, so people tend to think that they don’t ingest calcium. As you’ve probably guessed, this is another one of the vegetarian and vegan myths. Due to the lack of calcium, it’s often thought that their skeletal system will weaken with the passage of time, and thus, will be more likely to suffer fractures or diseases, such as osteoporosis. However, broccoli, tofu, or chickpeas prove that being vegans and ingesting calcium are completely compatible. Finally, these are the main vegetarian and vegan myths that you can now forget, thanks to this information.